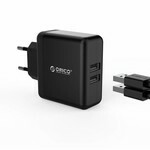 Stylish black dual home charger / travel charger with 2 USB charging ports. 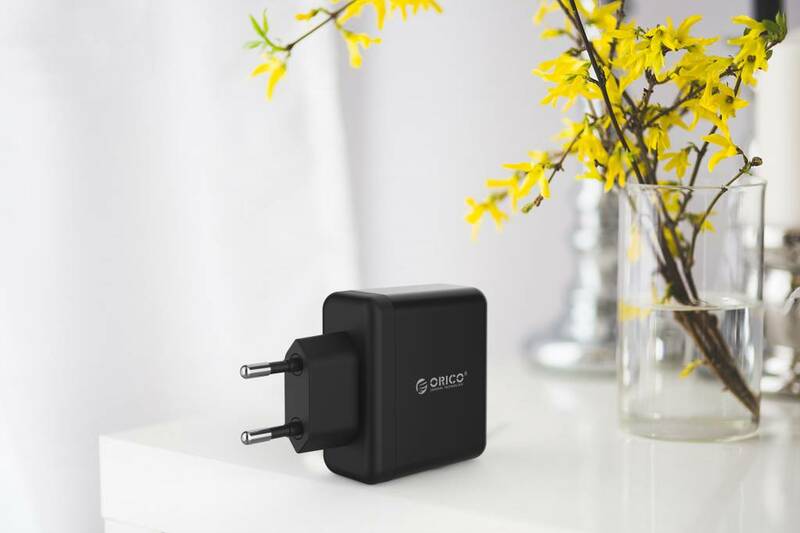 Equipped with an intelligent chip, allowing you to charge your 5V devices quickly, safely and efficiently. 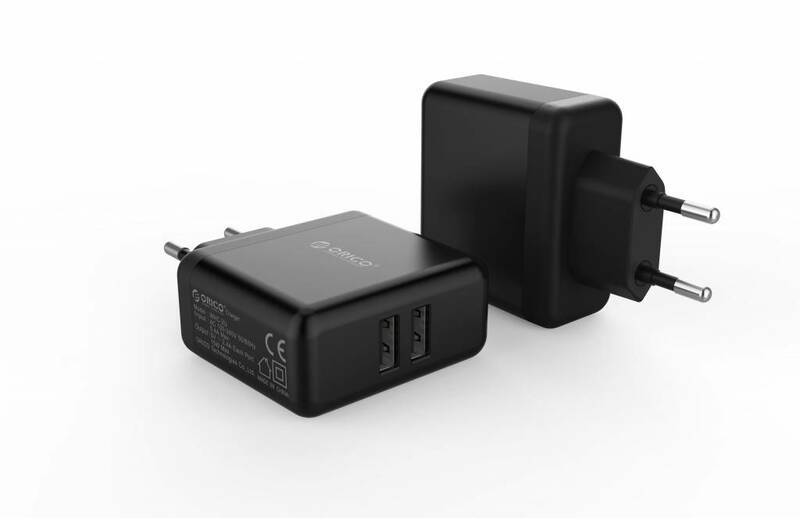 2.4A is supported per port and the nominal power is 15W. 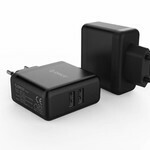 Charge two 5V devices stably and safely with this USB dual home / travel charger. Each port delivers 2.4 A maximum. 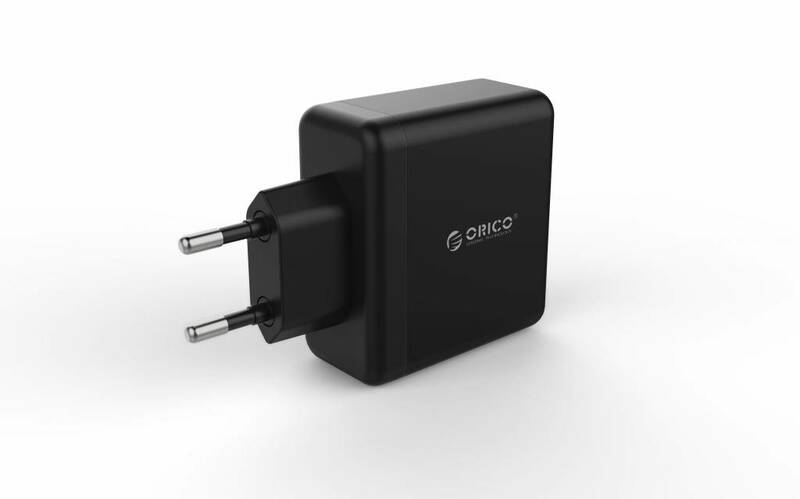 This Orico home / travel charger is the ideal solution for you if you want to charge 2 devices at the same time. The product has a nominal capacity of 15W. The 2 USB charging ports of the handy home charger have a smart charging technology. As a result, the delivered charging current between 0.1 A and 2.4 A is optimally tuned. 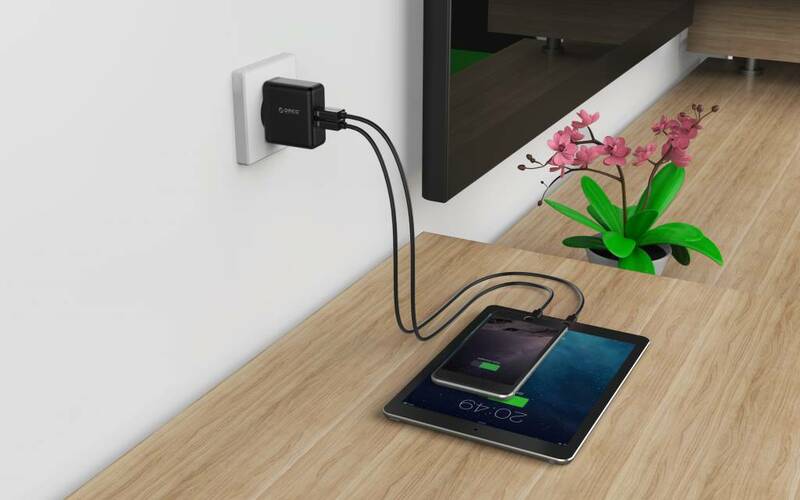 For example, 2.4A is supplied when a tablet is connected and 1A when a smartphone is connected. Thanks to the intelligent chip, performance is optimized. The travel charger is compatible with all 5V devices. 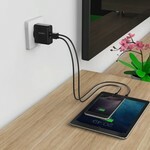 Think of a smartphone, tablet, GoPro, digital camera, portable game computer, MP3 player or power bank. 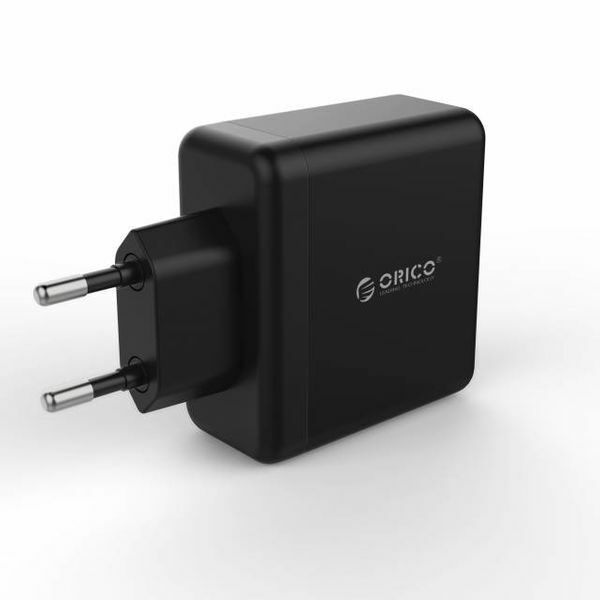 The product of Orico is very compact with a size of 70mm x 58mm x 29mm and it also has a luxurious appearance due to the black, matte finish. The home / travel charger fits well in any environment. 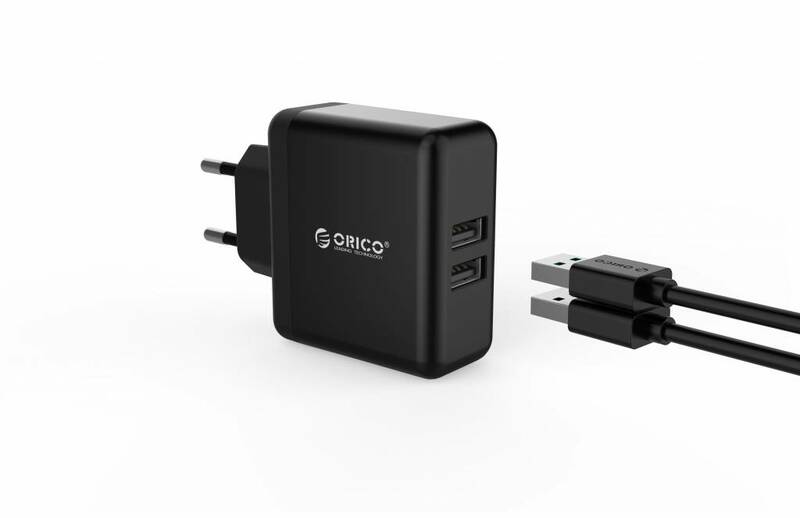 You can easily carry the charger in your pocket, handbag, briefcase or laptop bag to for example your work, school or on vacation. 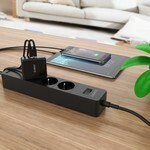 The dual charger is well secured, namely by a Multi-Safety security system. 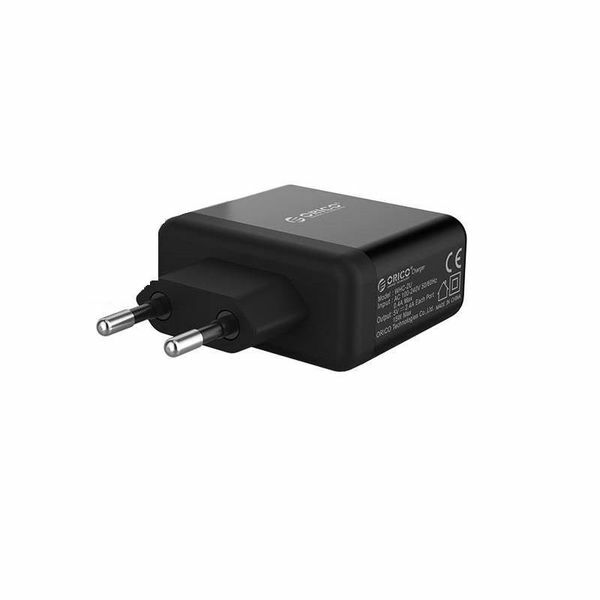 This protects the product against overvoltage, overheating, leakage current and short circuit. So you can safely connect two (different) 5V devices to the ports and charge. ✔ Port: 2x USB (per port 5V-2.4A). 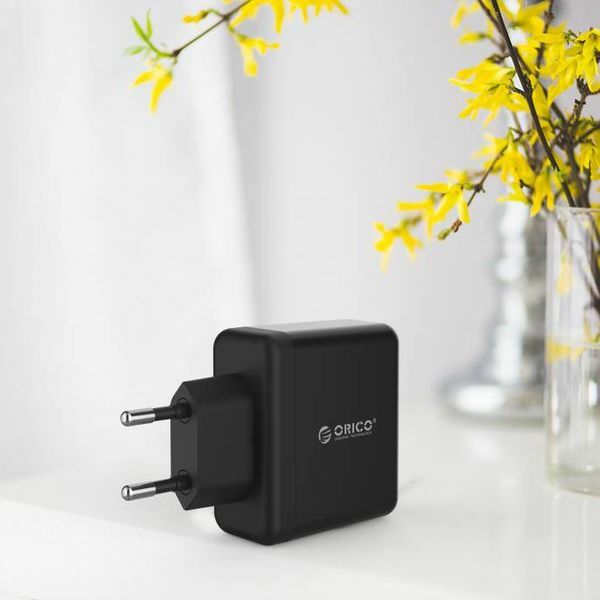 ✔ Input: AC 100-240V 50 / 60Hz 0.4A max. ✔ Compatible with all 5V USB devices. 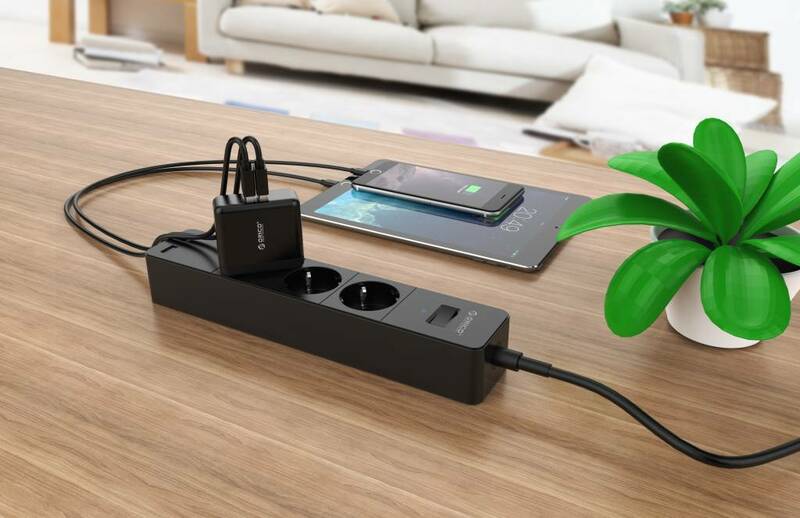 ✔ Heat-resistant ABS + PC materials. ✔ Product dimensions: 70mm x 58mm x 29mm.